As we wind down for the year, we want to take a moment to look back at some of our favorite projects in each category for the 2016 year. This car wrap for Die Hard Security had to be one of our favorites of the year. This car originally was silver and we took it from completely bland, to almost a whole new car. 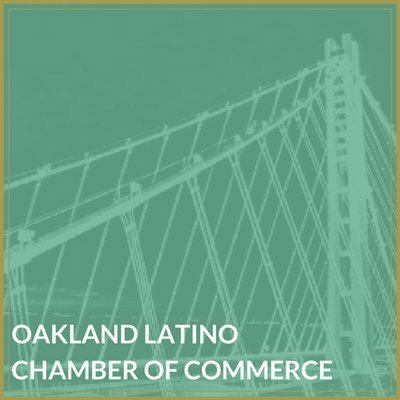 This design started with just their logo, but after taking one look at their website and seeing that amazing picture of the San Francisco Bay skyline, our owner knew that’s the direction he should head. We created a mock-up of what the car would look like and Die Hard Security was ready to roll. If you see this car around town, especially at night, you’ll know what we’re talking about! 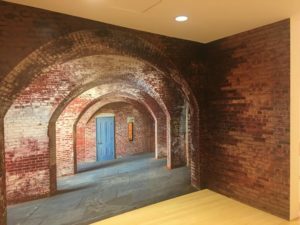 This wall mural was designed by “Because We Can” and creates an amazing 3-dimensional effect at San Francisco’s Fort Point. Unfortunately, we had a small issue during the printing process of this particular wall mural with not enough bleed. Since we loved this wall mural so much, we installed the bad batch at our studio, which is a great addition! We’ve done a lot of window graphics throughout this past year and they’ve all been pretty amazing. However, most of them have been cut vinyl to a window with the logo and/or operating hours. This window graphic for Optimized Wellness Center gets our vote because it is large, vibrant, and just overall great graphics. If you’re driving by this place, you know what they’re about just by looking at their windows. Great promotion for the place! Boat lettering is something that sort of fell into our lap because the person who used to do it decided to retire and so kindly pass his clients on to us. We’ve done lettering for at least 20 boats throughout the summer months but this one definitely stood out. The boat owner wanted to name his boat after his mother and also pay some sort of tribute to her. Since she was a burlesque dancer he wanted to incorporate an image that would represent that. He came in and worked with our graphic designer several times until finally he felt like the hat with dancing legs was exactly what he wanted. What a great way to stand out with a boat logo! Raised lettering is something that we haven’t had the opportunity to do much of this past year but of the couple jobs we did have, this one would take the cake. Omega Termite and Pest Control needed a new sign that not only looked professional but also lit up at night. This project took a bit of time between getting the proper parts and installation just right but in the end, this sign definitely stands out at night! Banners are something that are pretty straightforward and basic, usually for temporary use. However, occasionally you get a banner that looks really cool like this huge one advertising the opening of Bank of Marin. This one stands out because it’s not your basic “Coming Soon” sign. It shows what the end result is going to look like and that’s great for getting people excited for the opening! When the USS Hornet Museum needed new directional signs to reflect their new logo, we got the pleasure of helping them out with this task. It was not an easy one, though. These directional signs required a white vinyl to be placed onto a substrate and as you can see the detail in the new logo is very intricate. This required a lot of “weeding” to be done, which means that our plotter cutter can cut out the shape of the logo but not get into those fine areas of the plane, parachutes, and boat. Those smaller areas have to be hand removed with a fine tool and then the graphic has to be laid smoothly onto the substrate. It definitely made for an intricate directional sign! The Balm had a last minute job that needed to be done in record timing and SpeedPro East Bay was able to pull through. This job required printing the images below onto foam core and then cutting them out to shape while also building a stand in the back to ensure that they would display properly. Although this job could have gone horribly wrong, we managed to get it done and they were super happy. We’ve done some amazing canvas prints for local people and businesses but this job for High Scores Arcade is one that really stands out. At the time they were preparing for the opening of a new location in Hayward and wanted to get some retro artwork up that represented the many games that they cater to. With the designs of their artist, we were able to print these at a super high quality to maintain that bright and vivid look. They are also now selling these canvases as gifts so if you want them, give High Scores Arcade a call! There you have it, our most memorable jobs of 2016 for specific categories. If you want to get in the running for the best of 2017 jobs let us help you with your signs!